Lower Thames Crossing Association (LTCA) has met to review the decision to locate the Lower Thames Crossing east of Gravesend, specifically the Western Southern Link (WSL), and to discuss a plan of action. LTCA is disappointed with the Government’s decision, which will do little to alleviate the problems and traffic volumes at Dartford, which will continue to be the main route of the M25 and will continue to experience incidents and congestion. 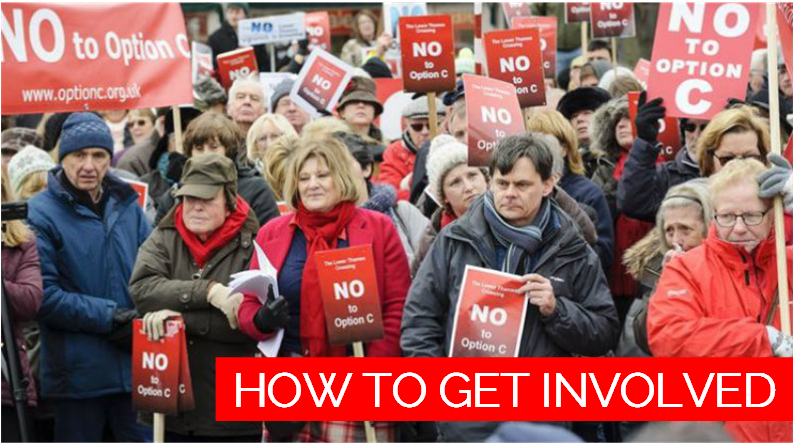 Instead of addressing the problems that affect thousands of people at Dartford, the proposal merely leaves them in situ and spreads the problems to thousands more. There is little doubt that there will still be a need for another crossing at Dartford, and the Road Hauliers Association, who campaigned heavily for Option C, has already expressed concern that the new crossing may be obsolete before it even opens. LTCA is in contact with its legal advisers, and will be investigating whether there are adequate legal grounds for successfully challenging the decision, possibly in conjunction with CPRE (Campaign for the Protection of Rural England), and to consider what would be the possible outcomes of a successful challenge. There must be no junction to the A226. This would only attract additional traffic and inappropriate development to the area. With WSL there is no need for the junction since traffic to and from Strood and the Wainscott bypass would be able to use the A2. There must be maximum use of the topography, deep cuttings, and cut & cover tunnels to protect residents and the environment from the worst of the impacts. LTCA will continue to press the Government to look seriously at Option A14, dual tunnels linking the M25 from south of junction 2 to north of junction 30, which would remove M25 traffic from the congested A282 through the populated areas of Dartford, and create the required additional crossing capacity.